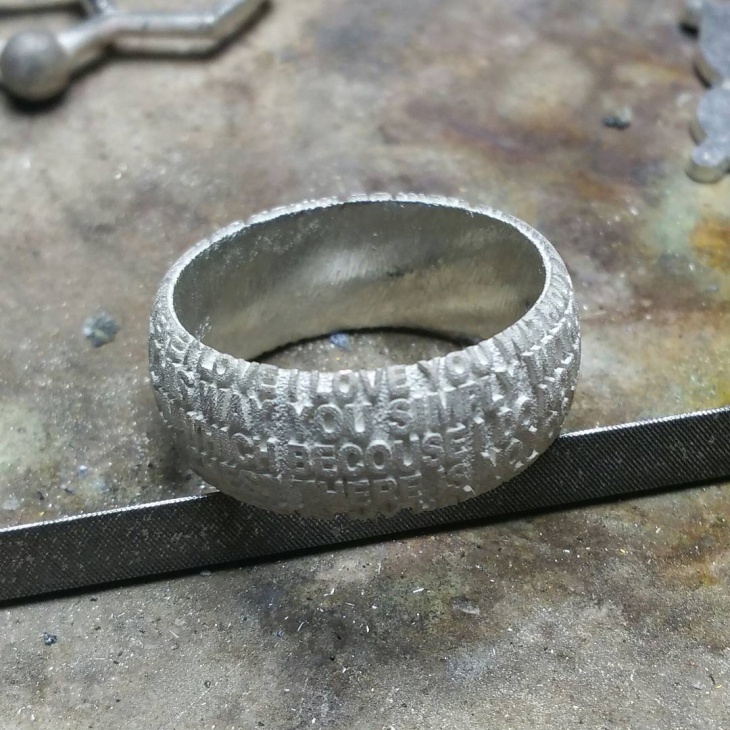 Rings with engraved messages go back to the 16th century and they stand out even today. 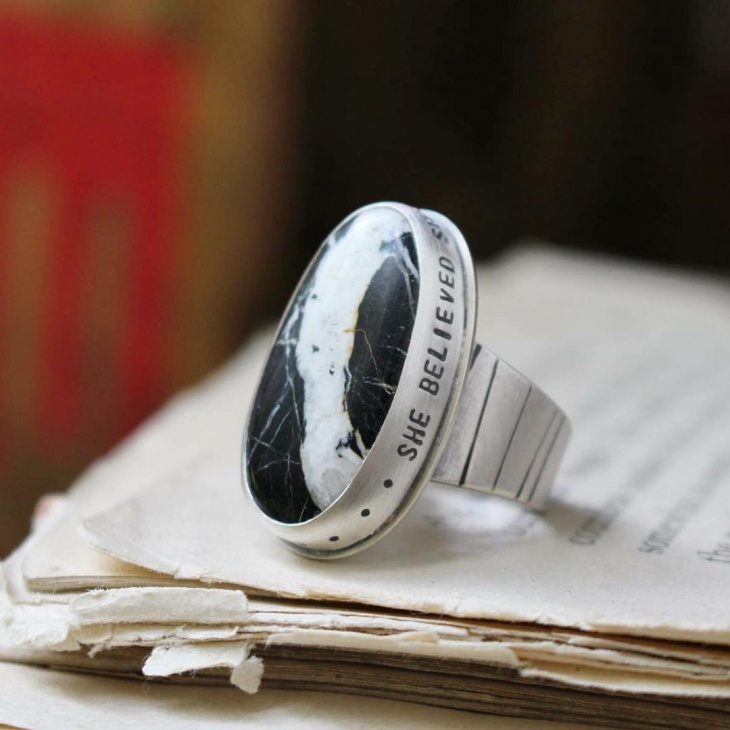 With the trend running high, designers are coming up with a variety of statement ring designs. From black diamond ring designs to titanium rings for men, customers have plenty to choose from. 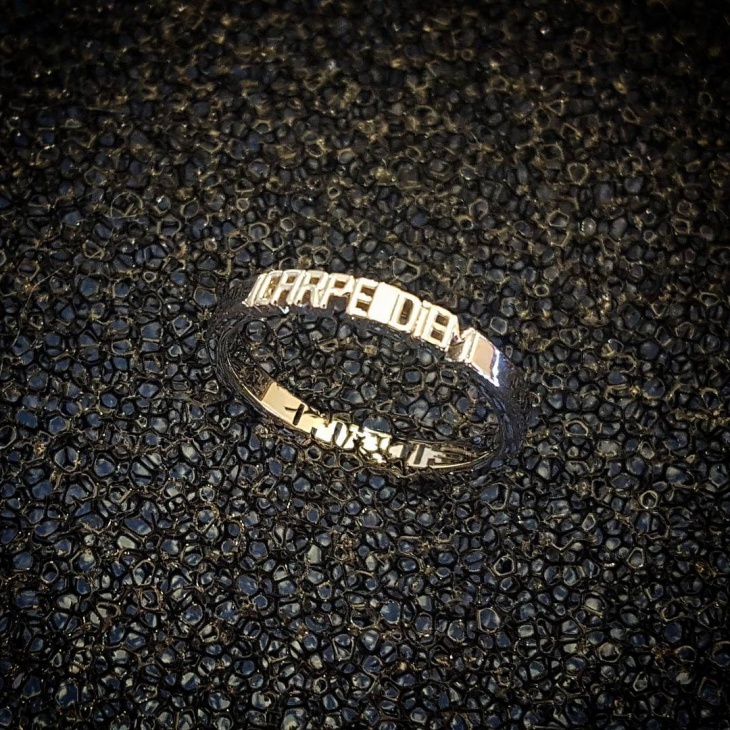 Made-to-order message rings allow customers to personalize the ring with an engraved statement. 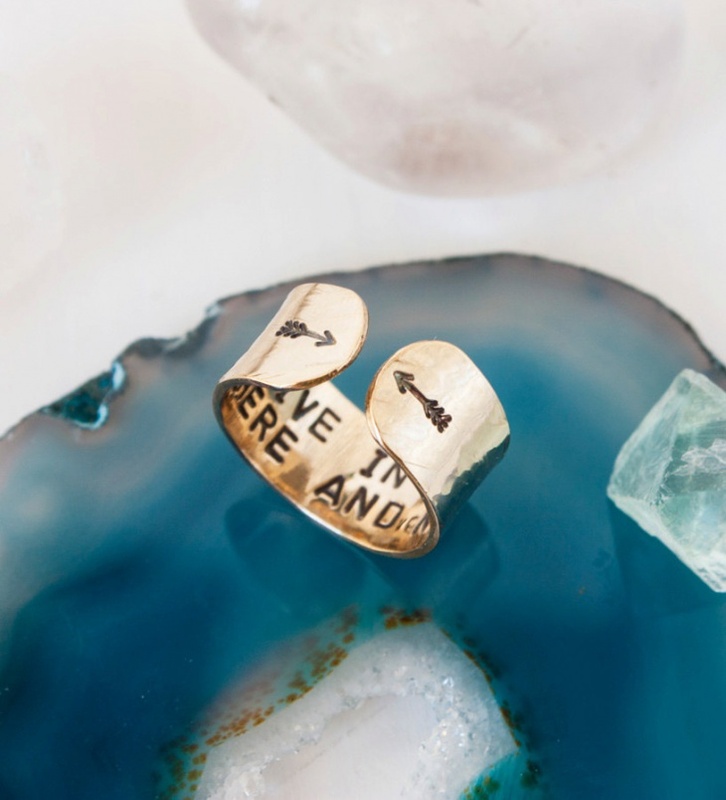 Here are 20 message ring designs that are special in their own rights. 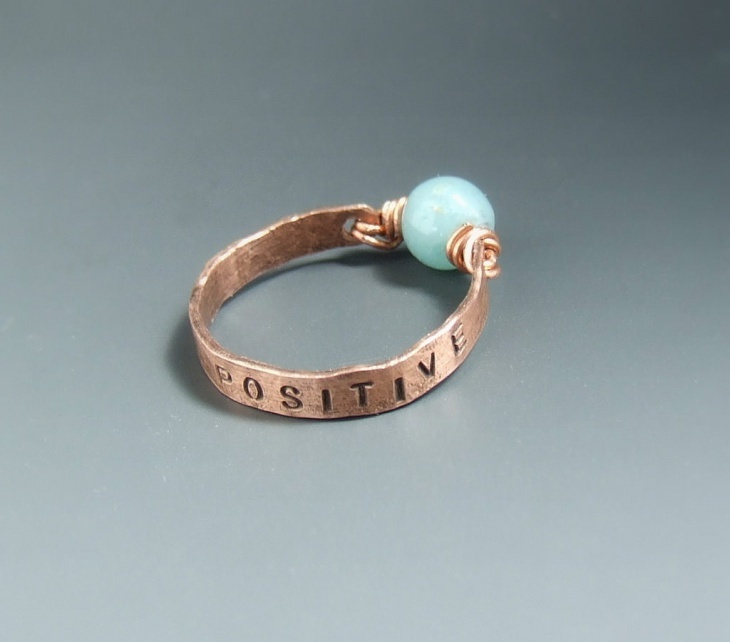 This secret message ring can be personalized with statements of up to 35 words and spaces. Customers can select from various images to add to the front side. 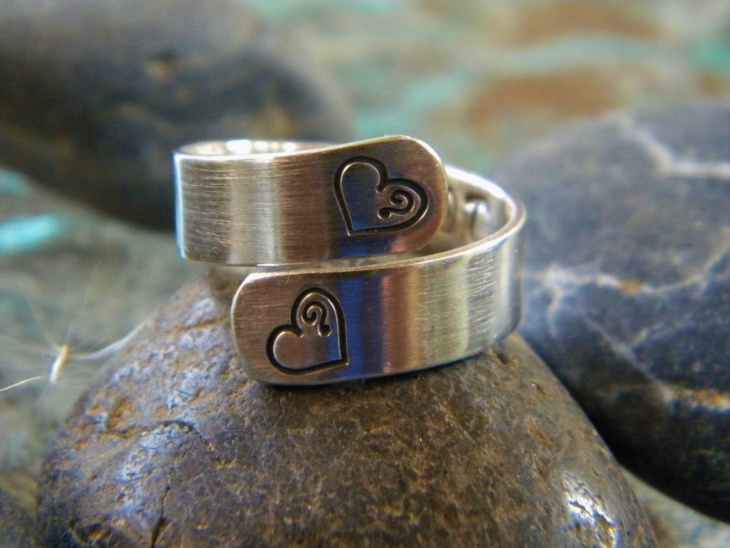 This pure aluminum ring features sterling, made from .925 sterling silver. 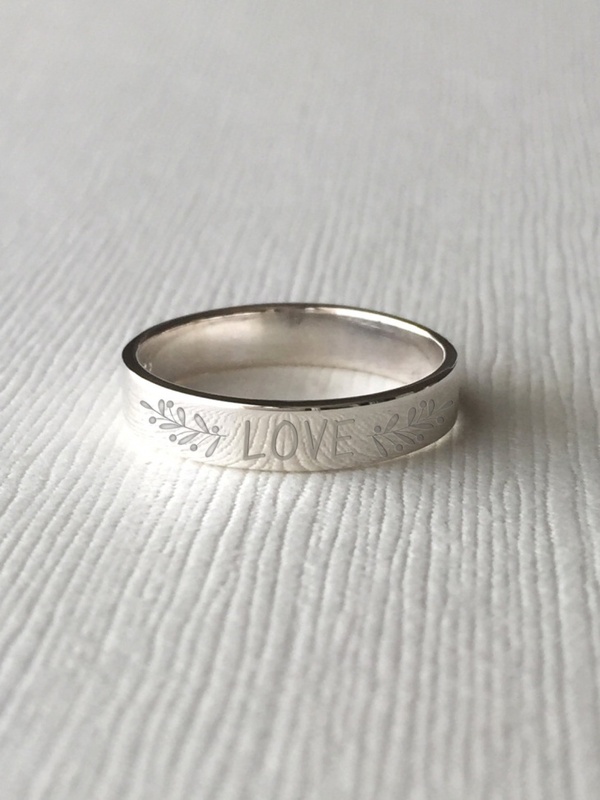 This sterling silver ring is personalized with messages on the outer side. 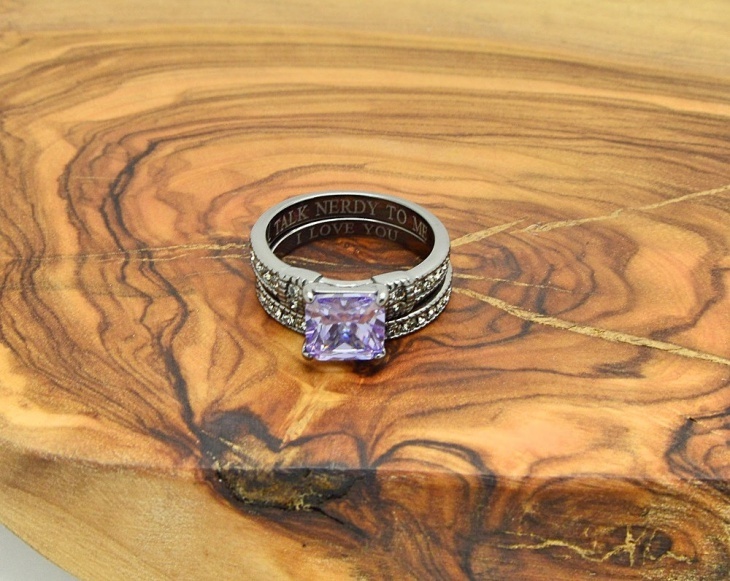 It makes for a special wedding band and a fine piece of custom-made jewelry. It is simple in design and construction and radiates class and elegance effortlessly. Get a serene combination of ring and necklace with this made-to-order piece. 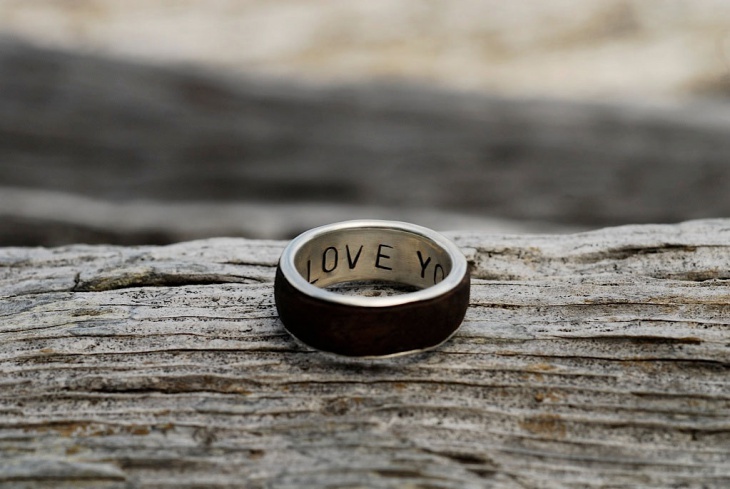 The 3/4” pewter rings are silver and gold plated with personalized message on the outer base. The 24” stainless steel chain will not tarnish. 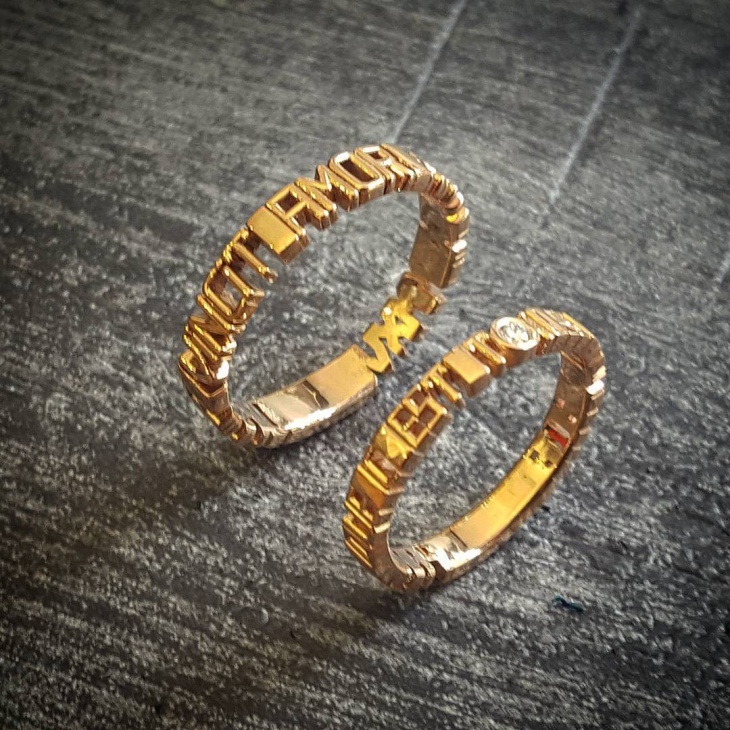 Wear a contemporary style on your fingers with this personalized signet. 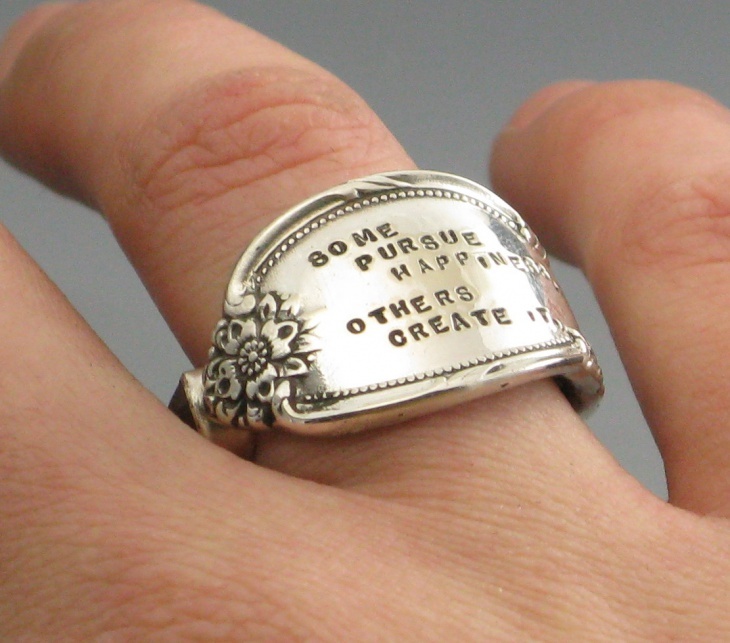 The message is engraved in gold lettering along the circumference of the ring. 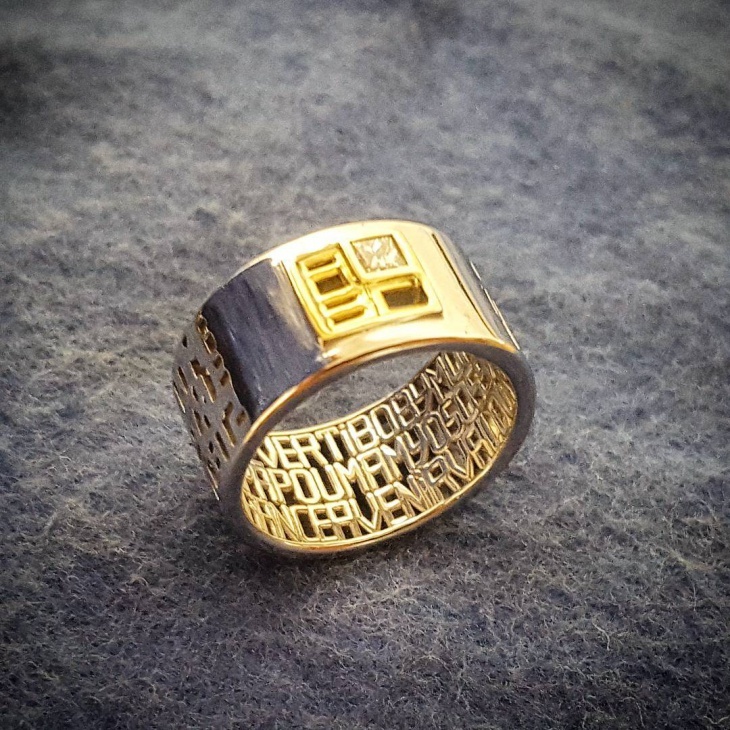 This magnificent gold message ring makes a powerful statement and leaves a strong impression. This is a light black coated, 316L surgical stainless steel set, including a lilac princess cut engagement ring and a matching band. The Grade AAA lilac CZ stone measures 7mm. 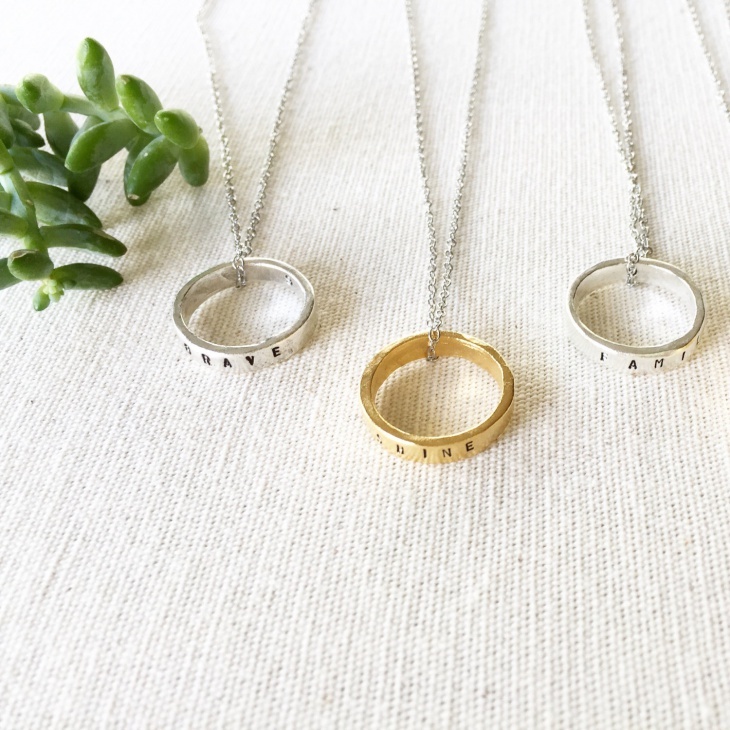 Each ring accommodates up to 20 characters, including spaces. This stunning engagement ring combines class and confidence in style. 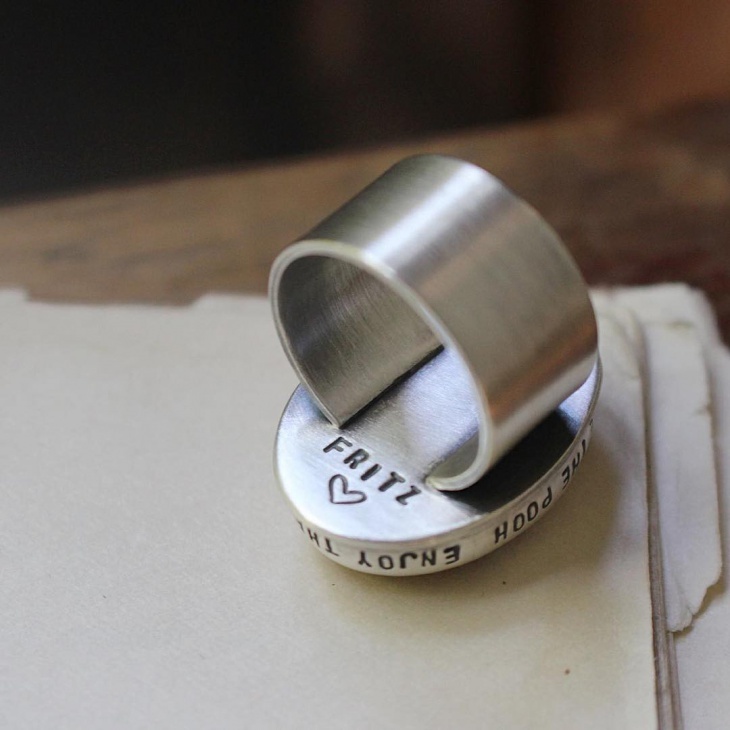 The letters of the personalized message join to form the ring surface and wrap around your finger. You cannot help but appreciate the wonderful work, worthy of a compliment. 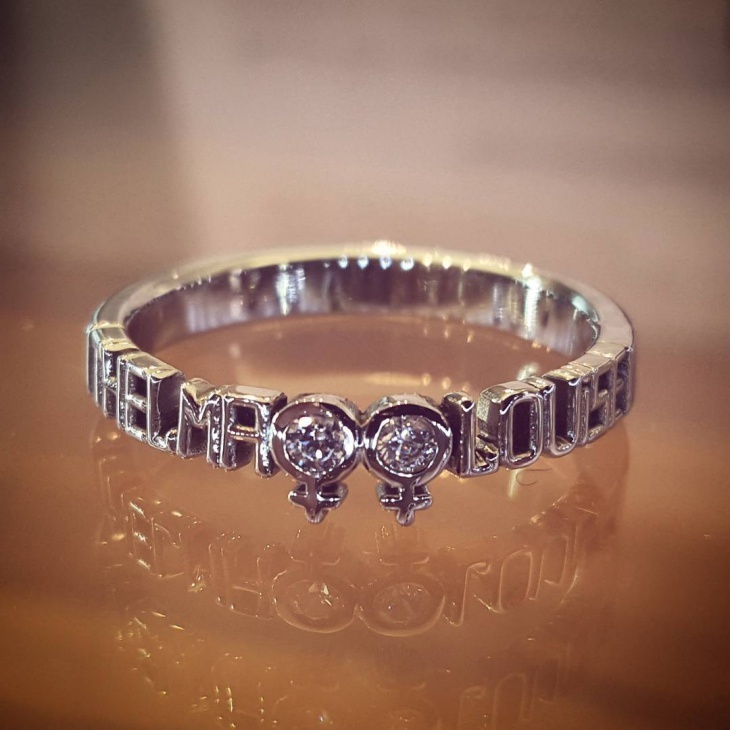 This brilliant diamond ring speaks for itself. 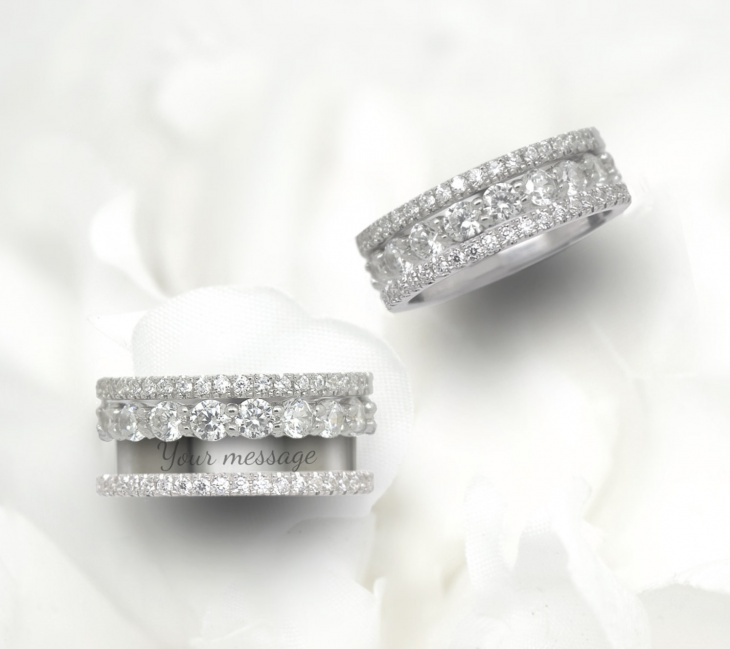 Micro-paved with natural round diamonds, this beautiful ring comes with your laser inscribed private message. It is available in 14k and 18k rose, gold and yellow gold as well as in platinum. This message wedding ring design features a set of three sapphires – pale mint, green and royal blue – each measuring 3mm in diameter. 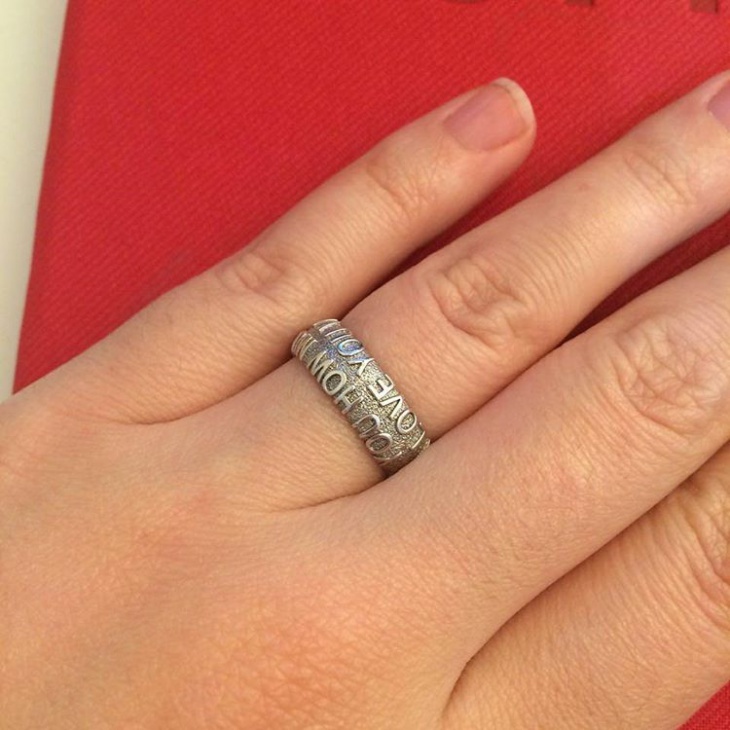 The 10mm wide band is made of pure recycled silver. 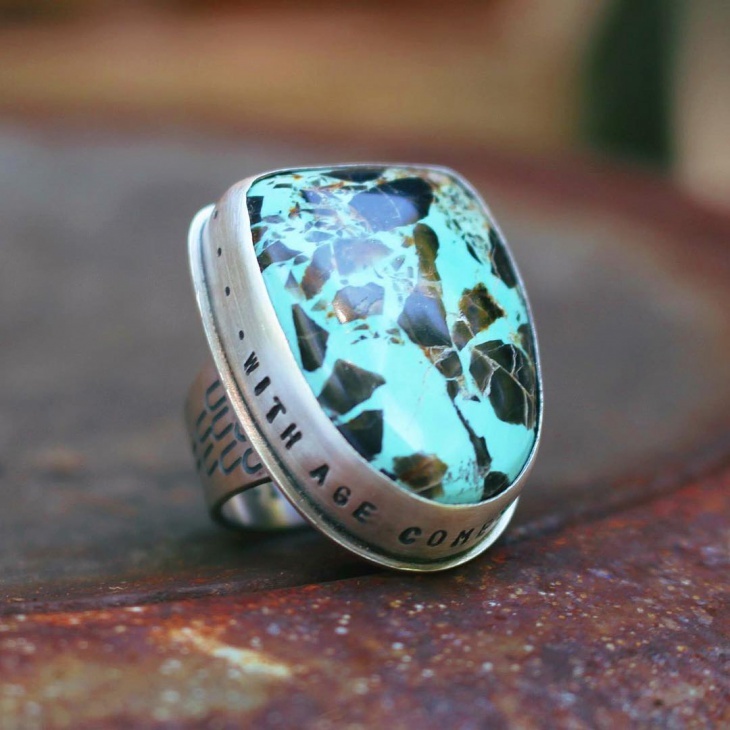 The ring highlights the creator’s signature vine pattern. 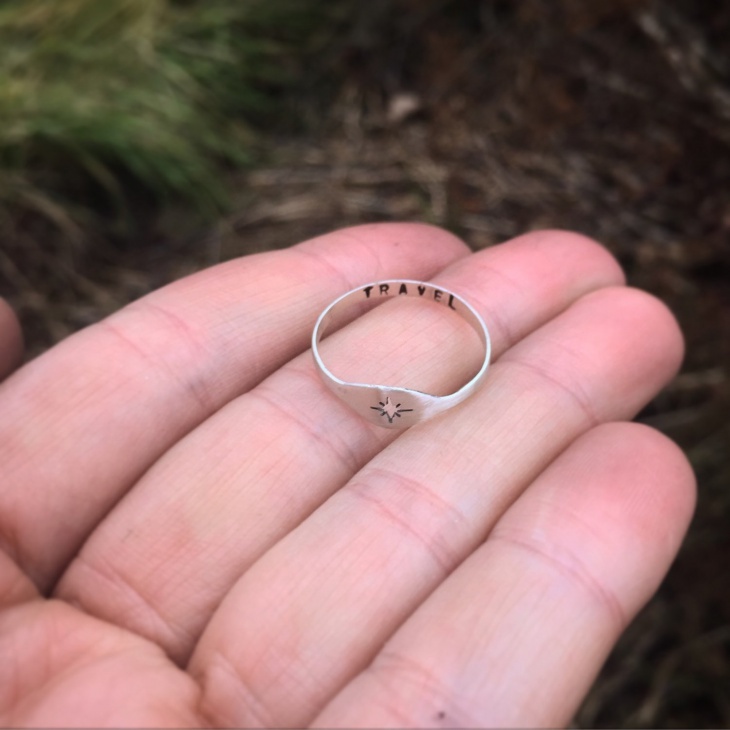 “Live in the here and now” – This is the hand-stamped message inscribed on the inside of this ring, along with two arrows on the outside. The 3/8” inch ring is made of 14k gold fill, i.e. a layering of gold. 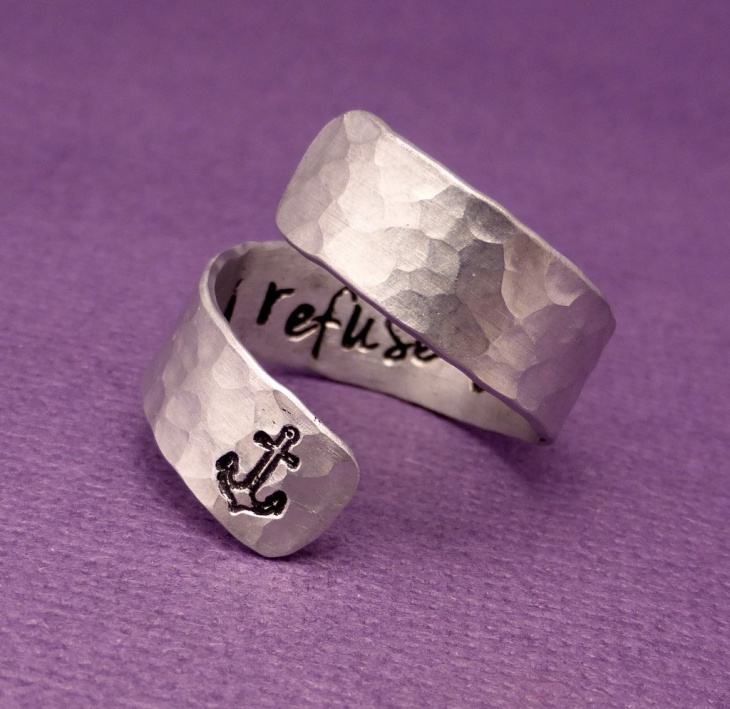 These were some of our picks of message ring designs. 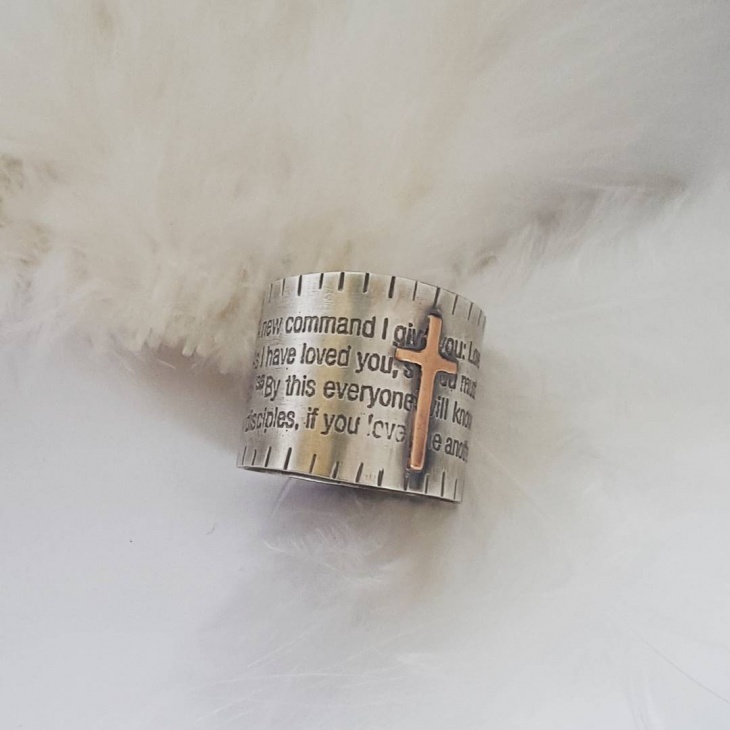 Check out these and many other designs available online, and choose from gold, sterling silver and platinum ring designs.Message rings are one of the best ways to personalize your ring, based on your personality and style. It gives your jewelry a special meaning.